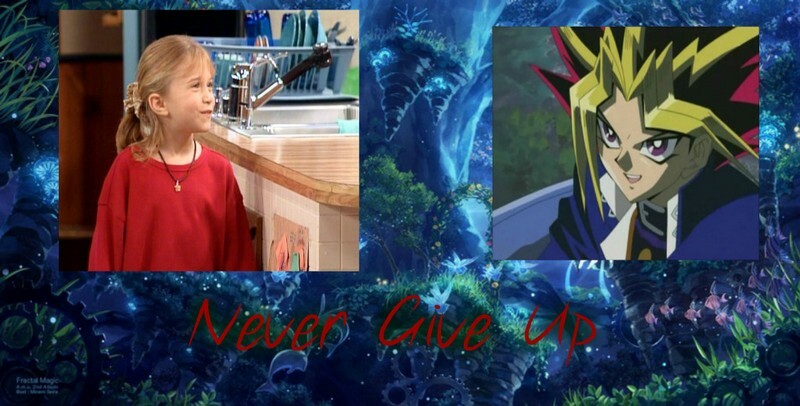 Never Give Up. . Wallpaper and background images in the フルハウス club tagged: photo full house yu-gi-oh michelle tanner yami yugi crossover fan art.